Kendall Waston didn’t want to tempt fate. 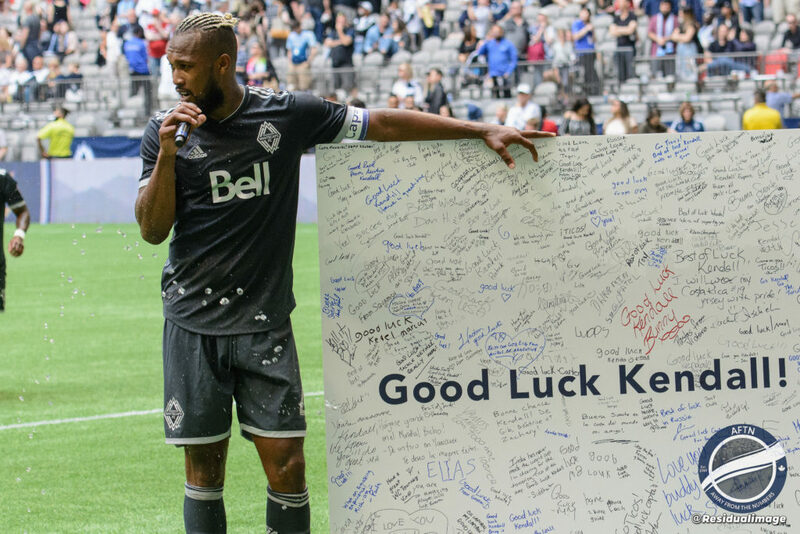 As much as he has been excitedly anticipating appearing in the World Cup this summer, the Whitecaps captain was determined not to look too far ahead until after his final pre-tournament match for the ‘Caps this past weekend. Last week was something of a whirlwind for the towering Tico. He was in major demand from local, national, and international media. Everyone wanted a piece of him, everyone wanted to speak to him about what lay ahead in Russia next month, and he dealt with it all with grace, humility, and a permanent smile on his face. He was naturally excited at the adventure that awaits him, but he also wanted to temper the talk a little till Saturday night, taking the “I’m not in it till I’ll be there” approach. He hadn’t even packed yet. 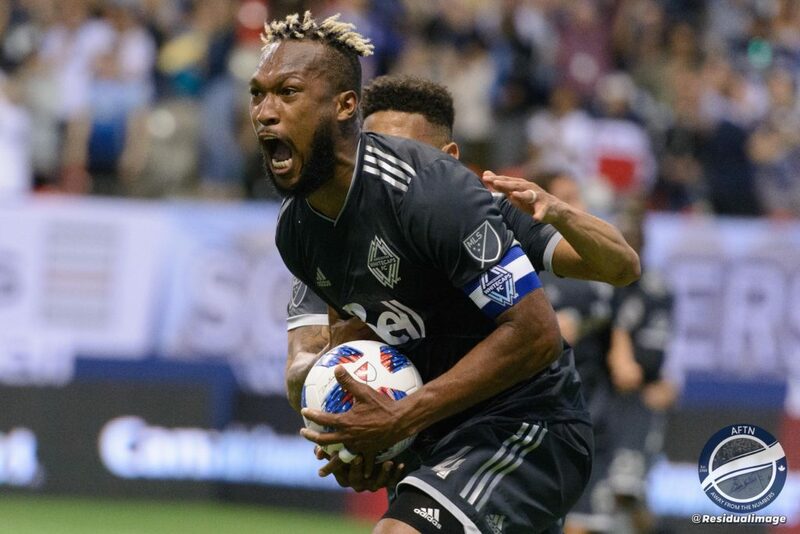 Part of that was a desire to keep a full focus on Vancouver’s game with New England, a match they really could have done with taking maximum points from. Another part was knowing that until that game was in the books, anything could happen to him on the pitch that could take his World Cup dream away from him. So just when does he think it’s all going to finally hit him that he’s heading off to his first World Cup? “I think as soon as I land in Costa Rica,” Waston told reporters after Saturday’s match. “I was watching the Champions League and I see two injuries and I said to myself, ‘I don’t want that to happen to me.’ I want to give it my everything, but I was praying that nothing happens to me because anything can happen in this game. 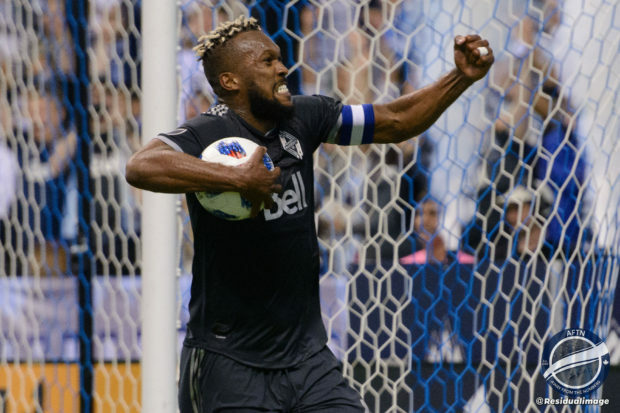 Waston headed off to join up with his World Cup teammates in Costa Rica immediately after Saturday’s match. The team will have a week’s training camp in the country before heading off for a couple of friendlies in Europe, first to Leeds to face England on June 7th, then it’s off to Belgium, and finally on to Russia. It’s been a long journey for Waston to get to his first World Cup. He was on the cusp of the squad last time around, but just missed out on being on the final 23-man roster for Brazil. He admits he watched the last World Cup, and the Ticos enthralling run to the quarter-finals, with both excitement and admiration, but also with a tinge of jealousy that he wasn’t part of it all. This time round, he’s heading to the finals as a national hero, after scoring the goal against Honduras that finally clinched Costa Rica’s berth in Russia. It’s a goal that will be shown many more times in the coming weeks, and Waston won’t get tired of seeing it. It’s going to be an emotional couple of months for the affable central defender. His excitement at heading to Russia is countered by being away from his wife Priscila and son Keysack for the next little while. 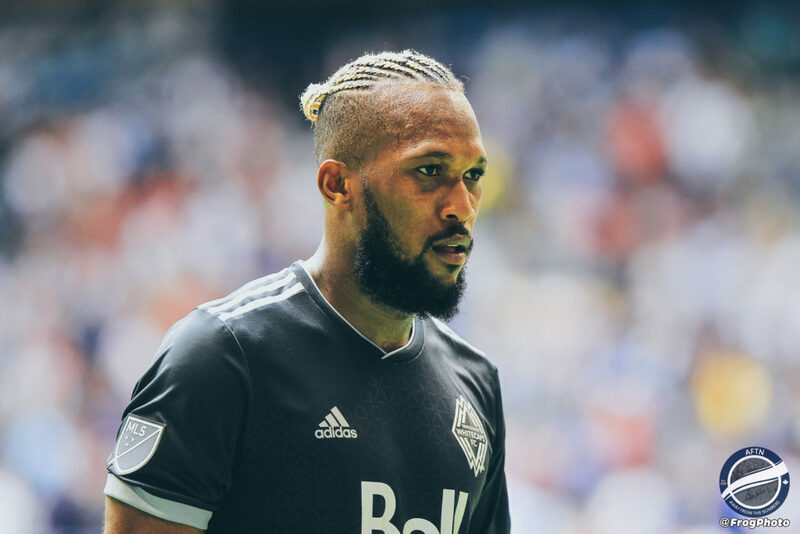 He’s also going to be away from the Whitecaps, missing a couple of matches when they’re desperately needing his presence on the backline. He admits it’s going to be “really hard” but feels those left behind will tirelessly to help the ‘Caps get out of their defensive frailties and drawing rut they currently find themselves in. Then you have the emotions he’s going to have when he finally sets foot on the pitch in Russia. Hopefully that comes in their first Group E match against Serbia in Samara on June 17th. Group games against Brazil (June 22nd) and Switzerland (June 27th) follow, as the Ticos aim to at least emulate what the heroes of 2014 did. Four years ago, Costa Rica topped their group, seeing off Greece in the Round of 16 before a quarter-final penalty shootout loss to Holland was a heartbreaking end to their best ever World Cup campaign. It was a run that put Costa Rica on the footballing map and won them a host of new admirers around the world. Waston says the quarter-finals are the minimum target this time around and feels confident the squad has the capabilities to match or go further than they did in Brazil this time around. And for Waston personally, he just wants to play his part and have an impact. After the heartache of missing out in 2014, he simply wants to savour every minute of the tournament this time around. “I want to enjoy each moment,” Waston enthused. “It’s been hard for me to be there, so I want to have every single thing in my memories. Waston wants to document everything about his World Cup experience, putting together a memento that he and his family can look back on years down the line. He’s truly been blown away by the surge of good wishes he’s had here in Vancouver before he headed off. It’s just all added to the experience for him, from the cards and online messages, to being one of the free stickers in this year’s Panini World Cup sticker album.